On June 14 1993, Malawians voted in a referendum to decide if they wanted to continue with one-party rule or adopt multiparty democracy. Sixty-four percent of Malawians voted against a one-party system. The referendum ended an over 30-year ban on all other political opposition in Malawi. Prior to this, the then ruling party Malawi Congress Party (MCP) was the only legitimate political grouping. By opting for multiparty democracy, Malawians did not only reject the one-party system but departed from a certain ideology. Malawi now had a population that was no longer, if this was ever the case, united under one ideology. And when people are ideologically divided, tolerance provides key social threads that knit the societal fabric together. This past weekend marked 21 years of multiparty democracy in the country. A number of social, economic and political factors indicate that Malawi has some way to go before it can become a truly tolerant society. Like all societies, Malawi has a historical context in which these issues must be understood. Malawi attained democracy on the backdrop of 71 years of colonialism followed by 30 years of authoritarian rule. These regimes made Malawians inward looking: any concept, culture and way of living deemed unfamiliar to “Malawi culture” was to be rejected and avoided at all costs. This is what sustains oppressive regimes. It is a huge ask that Malawians become a tolerant society overnight. However, a sober look at the last two decades of Malawi’s democracy shows it is more mature than most critics would give it credit for. Malawi has faced challenges that have tested its strength, maturity and resolve. One of the most notable of these challenges is former president Bakili Muluzi’s (in office between 1994 – 2004) attempt to increase presidential term limits so he could give himself a chance to seek a new mandate. Though a close vote in the end, Malawi’s Parliament stopped Muluzi’s bid and democracy ultimately prevailed. Bingu wa Mutharika, Muluzi’s handpicked successor whose sudden death in office on April 5 2012 triggered a political transition, was another key moment that put our democracy to the test. Mutharika’s loyalists attempted to block Malawi’s then vice-president Joyce Banda’s succession of Mutharika as per constitutional stipulation. Again, the rule of law prevailed and President Banda was sworn in on April 7 2012 as the fourth president of the Republic of Malawi. Joyce Banda lost this year’s elections to Bingu wa Mutharika’s brother, Peter. Banda finished a distant third, Lazarus Chakwera of Malawi Congress Party finished second. She is the first sitting president to lose an election since Malawi adopted multiparty democracy. Banda alleged electoral flawed and failed in her attempt to call for a re-run. It took eight tense days before the national electoral body finally announced the winner and Banda conceded victory to Peter Mutharika. This was yet another stern test for Malawi’s democracy, and the country passed it. It is not unheard of that sitting presidents refuse to accept defeat and settle for power-sharing deals. It happened in Kenya in 2007-2008, in Zimbabwe in 2008 and in Côte d’Ivoire in 2010 when Laurent Gbagbo refused to concede electoral defeat, plunging the country into violence. Recently, Mail & Guardian Africa published an article attributing Banda’s acceptance of the election results and the fact that she allowed fair contest to her gender. The logic of this argument is questionable and is not fully supported by facts. For a start, the history of presidential successions in Malawi shows that Banda’s acceptance of electoral defeat, albeit reluctantly, is in line with the trend of Malawi’s democracy. The change of power in the country has always been peaceful but not without minor resistance. Malawi, like many African democracies, has a long way to go, especially in the areas of social, economic and human development. There is too much politicking in the country, which takes more precedence than service delivery. Fifty-two percent of Malawians live below the international poverty line. Service delivery remains very poor – a 2010 World Bank report indicated that only 9% of 14.8 million Malawians had access to electricity by 2009. Findings by Water for People, an NGO advocating for safe drinking water in the country since 2000, show that only 62% of peri-urban areas have access to water that meets government standards, while in rural areas only 45% of people have access to safe drinking water. These are the areas where democracy has clearly failed to deliver in Malawi. If left unchecked, it could result in voter apathy, which is harmful for a developing democracy. We need people to continue participating in politics, but if voting patterns are anything to go by, Malawians are already losing trust in political parties. The number of independent parliamentarians in the country has grown with every election. There was no single independent MP in 1994 when Malawians voted for the first time. Ten years later, 40 independent MPs won elections. The 2014 elections produced more independent MPs – 52 – than any political party. There is this general perception that African democracies are flawed, which is not without justification of course, but which democracy is perfect? The danger of this view is that we tend to concentrate on the negatives only. Malawi’s democracy has shown resilience when faced with tricky situations. Service delivery and the Cashgate scandal continue to cast a shadow but when it comes to succession, politicians in Malawi have always respected the rule of law, which is a good sign for any democracy. After days of confusion, court injunctions, accusations of vote rigging and a series of irregularities with the voting process, Malawi finally has a new president. Peter Mutharika, an academic and a younger brother to Bingu wa Mutharika, Malawi’s former president who died in office in 2012, was sworn in on Saturday and inaugurated on Monday, June 2. He is Malawi’s fifth president. Mutharika’s victory, with only 36% of the national vote, does not represent a total change in local politics; it is more of a continuation of his brother’s presidency, which was punctuated by Joyce Banda’s two-year rule. Bingu wa Mutharika died while lining up his young brother to succeed him. Peter’s victory has accomplished that mission, which seemed improbable when a heart attack cut short Bingu’s life on the morning of April 5 2012. Joyce Banda, then state vice president, replaced the late Mutharika, in line with a constitutional provision. On May 20 this year, Banda led her own party into an election for the first time. She lost badly, finishing a distant third with 20.2%, after Mutharika’s 36% and Lazarus Chakwera’s 27.8%. It is the first time in Malawi that a sitting president has lost an election since the country held its first democratic election in 1994. 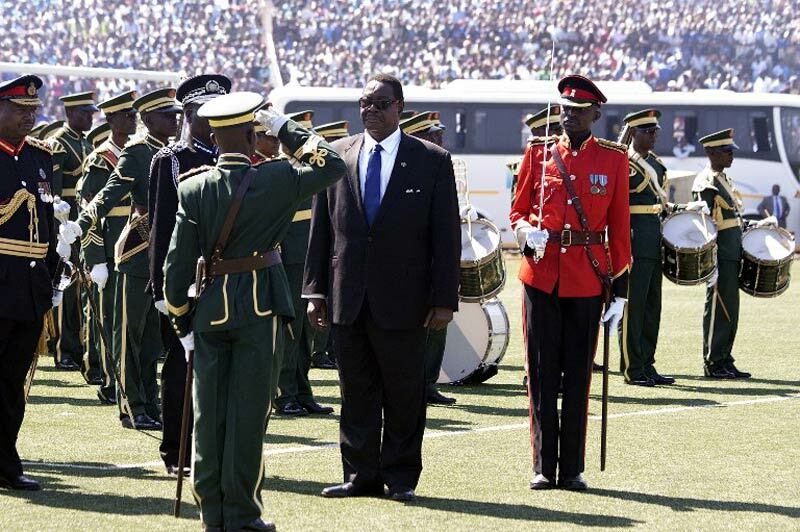 Mutharika’s much-anticipated inaugural speech on Monday did not live up to most Malawians’ expectations. It lacked the weight and clarity of the speech his brother delivered 10 years ago. But then it touched on almost every sector of the economy, from tomato vendors to foreign policy. Perhaps this underlines the fact that Peter Mutharika is more of an academic than a politician, unlike his brother. In fact, it’s unlikely that Peter Mutharika would be in politics today had his brother not ruled Malawi first. Most parts of his speech were a carbon copy of his party’s manifesto. The promise of a small cabinet of no more than 20 ministers, for instance. This is a big deal in Malawi, a country that is used to having up to 40 cabinet ministers, including their deputies. The rivalry between Mutharika and Banda dates back to the time when Banda deputised Bingu. Banda is on record saying that Bingu promised that she would succeed him, but this changed when Peter Mutharika came into the picture. Bingu opted for his young brother as a successor. The row led to Banda’s expulsion from Mutharika’s Democratic Progressive Party (DPP). Banda and few colleagues then formed their own political group, eventually registering it as the People’s Party (PP). Bingu’s death meant that Banda would form a government, taking her party with her and therefore relegating DPP to opposition benches. Peter Mutharika and few DPP top officials tried in vain to prevent Banda from succeeding Bingu. Their attempt to stop her from ascending to the presidency later resulted in Peter Mutharika and his colleagues being charged with treason – charges that still stand. With the recent turn of events, however, the treason charges against Mutharika are unlikely to stick as sitting presidents in Malawi have immunity from prosecution. In fact local analysts believe the tables will be turned, and it will be Joyce Banda facing prosecution now, most likely on corruption charges. Many unresolved high-profile corruption cases happened on her watch, most notably the colossal looting of over $100 million from government coffers by senior civil servant and politicians, known as “Cashgate”. The fact that Mutharika says he wants to bury the past and move on may be assuring but history shows that every former president in Malawi has faced a court case of some kind. Joyce Banda will be aware of this. The other key issue to emerge from Mutharika’s inaugural speech was foreign policy. It’s clear that the new president is not sure of western donor support. He said foreign policy would be based on “what is best for Malawi”, adding that Malawi would continue with traditional relationships with donor countries and organisations “but we are now looking for new friends in the emerging economies such as Brazil, China, India, South Africa and Russia”. It is a loaded and multifaceted statement but it shows that Mutharika is accurately aware that he has his work cut out insofar as winning confidence of traditional donors is concerned. To start with, at the time of Bingu’s death, most donor countries had deserted Malawi due to Bingu’s undiplomatic tendencies, poor governance and his increasingly autocratic behaviour. Crucially, Peter Mutharika was foreign affairs minister at the time; he must have been involved in diplomatic negotiations one way or another. It is most likely that most donors have grown cold feet at Peter Mutharika’s victory. Mutharika’s emphasis on looking for “new friends” suggests that he is worried about it. Furthermore, Mutharika has inherited a government that has lost 40% of annual budget support which comes from donors. Donors decided to withhold this support late last year in response to the “Cashgate” revelations. Convincing donors to release the cash will be Mutharika’s first task. The president needs no reminding of how much Malawi suffered economically under his brother’s rule when donors froze budgetary support. Bingu died with Malawi’s economy on the verge of collapse – Peter Mutharika cannot afford to start his presidency on this note. Irrespective of his victory, Mutharika still needs to win the confidence of a lot of Malawians. 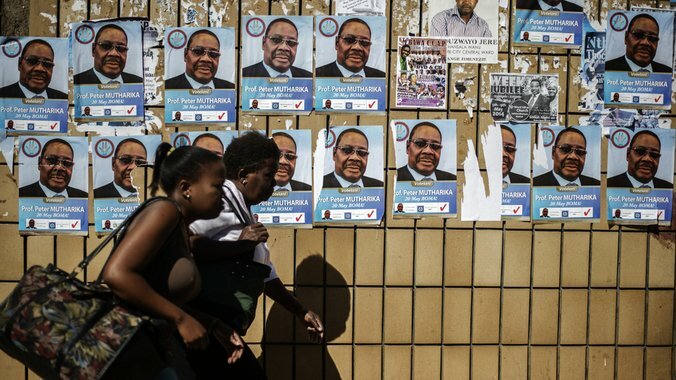 Sixty-four percent of Malawians voted against him. He won the election via the country’s shambolic first-past-the-post voting system, which does not require a re-run even if the leading candidate fails to get more than 50% of the vote. Bingu Mutharika initially came to power in 2004 with only 35% of the national vote. However, his excellent performance in his first term won him a second term with a landslide of 63%. Peter will be looking to achieve the same, albeit under different circumstances.